Egungun (masquerade) is a popular practice found in the cultures of the Yourba people who dwell in the south western part of Nigeria. It is a means of connecting the people to their long gone ancestors who appear in form of human-spirit to give warnings or shower their blessings on the land. Oloolu is a very powerful Egungun/ eegun (masquerade) in the Yoruba city of Ibadan. The name Oloolu is not in any way new to the ears of any Ibadan indigene or dweller. 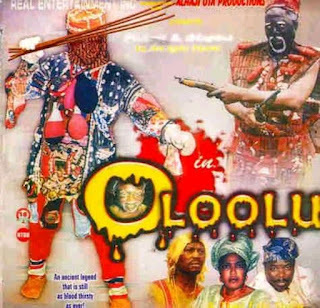 At the mention of Oloolu, Ibadan people, women especially, shiver in cold and fear which ascertain the claim that Oloolu is the most feared masquerade in Ibadan and one of the most revered in the entire Yorubaland and Africa. The Oloolu masquerade is feared because of its powers, history and sacrality. 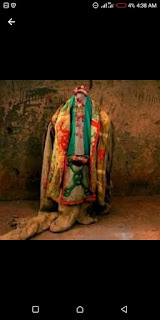 Women are not allowed to see Oloolu because of the female skull attached to the top of its attire. It is believed that any woman that sees Oloolu will have her menstrual period disturbed and could eventually die. 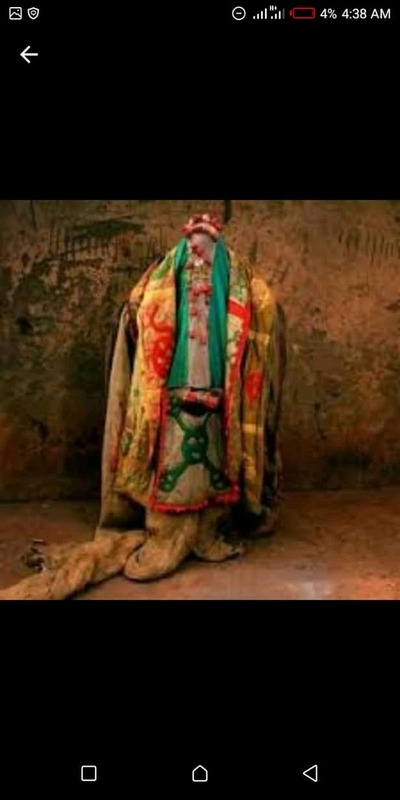 Also, it is believed that on the first appearance of the Oloolu masquerade, the first person it sees will fall ill and if necessary rites are not performed, the victim might die. Oloolu masquerade comes out every July to celebrate the Oloolu festival which is believed to bring blessings upon the land. At every appearance, Oloolu masquerade goes round the heartbeat areas of Ibadan such as Popo-Yemoja, Beere, Oja’ba and so on. Whenever Oloolu masquerade is on display, no other masquerade is allowed to come out, otherwise, it will meet its waterloo. History has it that during the reign of Olubadan Dada, an Egungun (masquerade) called Iponri-Iku came out when Oloolu was displaying. The duo then engaged in a hot duel. It was said that Oloolu dropped a mystical cowry on the ground and dared Iponri-Iku to pick it up if he can. As Iponri-Iku bent down to pick the special cowry, he broke his spine and eventually died. Since then, no masquerade dare challenge the Oloolu. The tradition of Oloolu masquerade forbid its bearer to meet his woman 30 days before coming out. 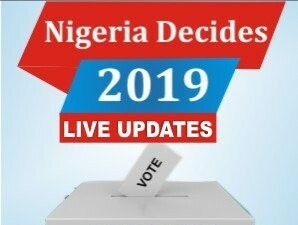 Also, during the display, the bearer must not wear shoes or carry any load other than Oloolu costume which include different pieces of clothes, a net, a human thigh bone, and a female skull attached to its head which makes it look more dreadful. The skull is that of the woman whom history said was beheaded by the warrior Ayorinde Aje. During the olden days, Oloolu masquerade used to wear a mask which detect the presence of women. But it was said that the mask was lost to Europeans who took it to their land. No one can gainsay the claim that Oloolu masquerade is the most popular, feared and celebrated masquerade in ibadan, the city of heroes.